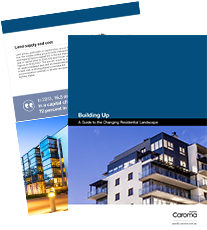 Australia’s residential landscape is changing. As the population grows and increases in density, our capital cities are evolving to demand better use of space and increased functionality. In 2013, 15.3 million Australians (66%) lived in a capital city. Projections suggest that this will increase to 72% by 2053. With this forecasted trend towards significant population growth, it is vital that Australia’s housing availability adapts to provide for the population. GWA Bathrooms & Kitchens explore this residential transformation and the various driving factors. At Caroma we are committed to bringing you the latest trends, inspiring you and educating you on our market. Biannually, this quest takes us to Franfurt and ISH...the world's leading trade fair for the Bathroom Experience, with a specific focus on optimising the use of water and energy. 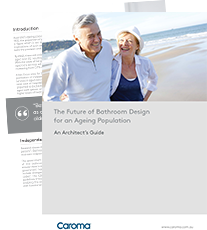 With the ageing population in Australia set to double over the next 40 years Caroma commissioned a whitepaper which focused on “The Future of Bathroom Design for an Ageing Population". This architect’s guide explores what factors are influencing bathroom design for aged care services and how the consumer mindset is changing with more people wanting to maintain their independence at home longer. 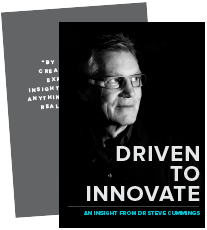 Highly respected amongst the Australian industrial design community, this renowned industrial designer and fellow of the Design Institute of Australia (DIA), was inducted in to the Design Institute of Australia’s Hall of Fame in 2012. 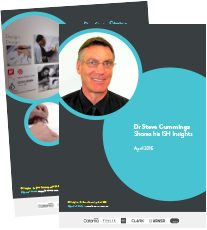 He has held senior appointments in the bathroom product design industry and has had a long standing participation in standards development in Australia and internationally since 1981. A pioneer in sustainable design, Dr Cummings has dedicated himself to developing products that minimise water consumption. He is recognised internationally as an authority in this field.